Our product range includes a wide range of protein multivitamin and lysine syrup, ferrous ascorbate, methylcobalamine lycopene multivitamin antioxidants syrups, silymarine 35mg panthenol multivitamin syrups, ambroxol hydrochloride ip 15mg guaphenesin ip50 syrup and ayurvedic liver formulations syrups. 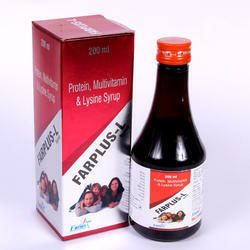 We are extremely engaged in offering a comprehensive assortment of Protein, Multivitamin & Lysine Syrup. This syrup is processed in accordance with the industry standards by our consistent vendors using best quality chemical compounds. Owing to its varied features like best quality and correct chemical composition, the entire array is highly demanded by our clients. 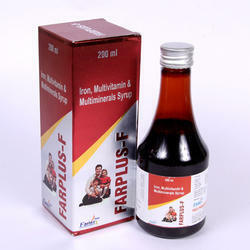 We offer the entire range of syrup in varied packaging options in order to fulfill the varied necessities of clients. 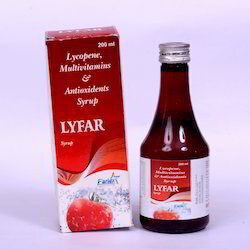 The offered syrup can also be availed by clients from us at market leading prices. Ferrous Ascorbate & Folic Acid, a synthetic form of iron and vitamin C is prescribed for pregnant women to prevent spina bifida in an unborn fetus, to improve iron utilization and to prevent folate or iron deficiency anemia. Ferrous ascorbate is a synthetic form of iron and vitamin C. Iron is recycled by the body and produce erythroid precursor cells. Exogenous administration of folic acid is essential for normal erythropoiesis process. Folic acid is vital for the biosynthesis of purines and thymidylate of nucleic acids. Defective purine biosynthesis due to folate deficiency leads to megaloblastic anemia and macrocytic anemia. After oral administration, the iron is predominantly absorbed in the upper jejunum and duodenum. About 90% of the administered dose is bound to plasma proteins. The iron as ferrous forms binds with transferrin and transported to the spleen, liver and bone marrow. The GI absorption of iron is very low due to systemic recycling of iron. About 1 mg/day of endogenous iron is eliminated in the urine, skin and feces. Folic acid is rapidly absorbed in the proximal portion of the small intestine. After oral administration, the Cmax can be achieved within one hour. As tetrahydrofolic acid derivative, folic acid is well-distributed in all over the body tissues and stored in hepatic tissues. Folic acid is metabolized in liver into dihydrofolate and tetrahydrofolate forms. About 90% of the administered dose is excreted via the urine. Ferrous ascorbate+Folic acid is contraindicated in patients with iron supplements allergy, patients with hemosiderosis, haemolytic anemia, active infections and hemochromatosis. Ferrous ascorbate+Folic acid may interact with , diphenylhydantoin, primidone, tetracycline group of drugs, quinolones, penicillamine, L-dopa, methyldopa, bisphosphonates and calcium salts. If taken as recommended doses, Ferrous ascorbate + Folic acid is likely safe during pregnancy. Ferrous ascorbate + Folic acid are likely safe in lactating mothers, in recommended doses. Lycopene is a common carotenoid compound found in fruits, vegetables, and green plants that is responsible for the red color of tomatoes. Other sources include apricot, cranberry, grapes, pink grapefruit, guava, papaya, peaches, and watermelon. The antioxidant activity of lycopene and its use in cancer prevention and cardiovascular disease have been widely documented. Lycopene administered as a pure compound has been studied in clinical trials at dosages of 13 to 75 mg/day. Lycopene is mostly available in capsule and softgel form, with dosage guidelines from manufacturers ranging from 10 to 30 mg taken twice daily with meals. Lycopene is also incorporated in multivitamin and multi-mineral products. The high prevalence of liver diseases such as chronic hepatitis and cirrhosis underscores the need for efficient and cost-effective treatments. The potential benefit of silymarin (extracted from the seeds of Silybum marianum or milk thistle) in the treatment of liver diseases remains a controversial issue. Ambroxol is a clinically proven systemically active mucolytic agent. When administered orally onset of action occurs after about 30 minutes. The breakdown of acid mucopolysaccharide fibers makes the sputum thinner and less viscous and therefore more easily removed by coughing. 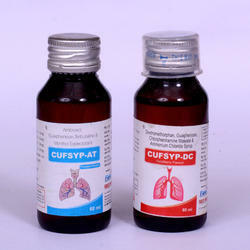 Although sputum volume eventually decreases, its viscosity remains low for as long as treatment is maintained. 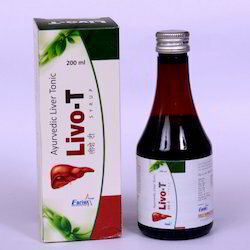 We are Leading Supplier and Manufacturers of Ayurvedic Liver Formulations Syrups. Also we deals in Pharma Franchise Opportunity ,PCD Pharma Franchise, Pharmaceutical Marketing Services, Medicines Marketing Services. 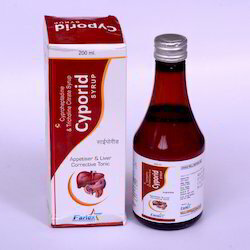 Cyproheptadine is an antihistamine that reduces the effects of natural chemical histamine in the body. Histamine can produce symptoms of sneezing, itching, watery eyes, and runny nose. Cyproheptadine is used to treat sneezing, runny nose, itching, red or watery eyes, and other symptoms of seasonal allergies (hay fever). Cyproheptadine is also used to treat other conditions such as eczema or skin reactions to insect bites. Cyproheptadine is sometimes used to treat certain types of headaches, including migraines. We are Leading Supplier and Manufacturers of Ferrous Ascorbate Syrup . Also we deals in Pharma Franchise Opportunity ,PCD Pharma Franchise, Pharmaceutical Marketing Services, Medicines Marketing Services. Lycopene: A Powerful Antioxidant to Help Prevent Cancer & Keep Your Heart Healthy. ... Lycopene is cancer-preventative phytonutrient — an antioxidant with a laundry list of amazing benefits. It's most commonly found in tomato nutrition, but you can consume it in a number of common fruits and veggies. People take lycopene for preventing heart disease, "hardening of the arteries" (atherosclerosis); and cancer of the prostate, breast, lung, bladder, ovaries, colon, and pancreas. Lycopene is also used for treating human papilloma virus (HPV) infection, which is a major cause of uterine cancer. We are Leading Supplier and Manufacturers of Paracetamol+Phenylephrine Hydrochloride 5mg Suspension. Also we deals in Pharma Franchise Opportunity ,PCD Pharma Franchise, Pharmaceutical Marketing Services, Medicines Marketing Services. 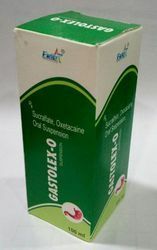 Sucralfate & Oxetacaine Suspension that is appreciated for its high effectiveness. 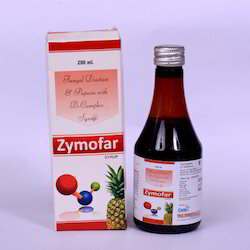 The offered suspension is suitable for treating heartburn, dyspepsia, ulcer, etc. Processed by utilizing pristine quality chemical substances with the help of ultra-modern methodology, this suspension is checked on several predefined parameters. Also, the offered Sucralfate & Oxetacaine Suspension can be availed from us in various air tight packaging options at the best market prices. 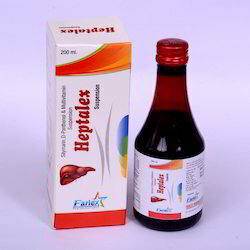 It is used to treat GI (gastrointestinal) ulcers. This medication is an iron supplement used to treat or prevent low blood levels of ... Fungal Diastase Papain B Complex Syrup with Monocarton. 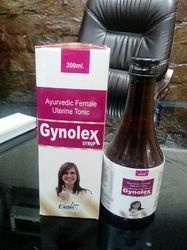 We are Leading Supplier and Manufacturers of Ayurvedic Female Uterine Tonic with Monocarton Syrups. Also we deals in Pharma Franchise Opportunity ,PCD Pharma Franchise, Pharmaceutical Marketing Services, Medicines Marketing Services. 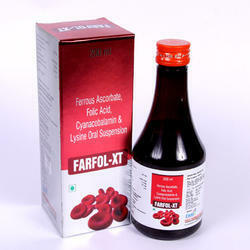 We are Leading Supplier and Manufacturers of Iron Syrups . Also we deals in Pharma Franchise Opportunity ,PCD Pharma Franchise, Pharmaceutical Marketing Services, Medicines Marketing Services. 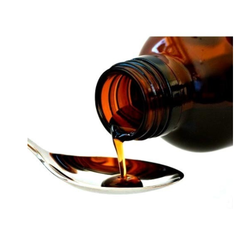 We are Leading Supplier and Manufacturers of Megald 400mg+Simethicone 20mg Syrups. Also we deals in Pharma Franchise Opportunity ,PCD Pharma Franchise, Pharmaceutical Marketing Services, Medicines Marketing Services. Vitamin D3: Vitamin D3 or cholecalciferol is much more than a vitamin. It is the precursor of calcitriol, one of the most potent hormones. As a hormone, it affects development and health from conception to the end of life. It promotes calcium absorption and functions for healthy teeth and bones, prevents loss of bone mass, and treats bone disorders. Vitamin B12: It is involved in the manufacturing and maintenance of red blood cells. It promotes growth and releases energy. It is often used to give an energy boost, assist in preventing mental deterioration and helps with speeding up thought processes. It may play a role in infection control and provide protection against allergies and cancer. This vitamin is also used in the metabolism of fats, proteins and carbohydrates. 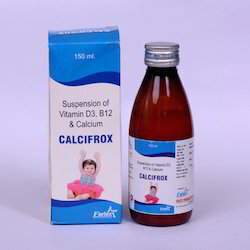 Low calcium levels such as bone loss, weak bones (osteomalacia/rickets), decreased activity of the parathyroid gland (hypoparathyroidism), and a certain muscle disease (latent tetany).